Which SD Files To Choose? To see Which SD Files you should download for your phone, Go to gsmarena and see your phone's specifications and see GPU , for example for SGS II GPU is Mali. For Tegra 2 devices GPU will be ULP GeForce. do we have to unzip the game data bofore we copy it to sd card?? or we have to paste .rar file directly to sd card?? @NFL fanboy: Dear i have apk file of Madden NFL 12 but i don't have sd data files for galaxy s2 as i doesn't have that phone. That's why i can't upload sd files for that. Please wait for a few days. i will upload it surely. .
Just download and install. Then download sd data over wifi. OK I tried the new one you gave the link for and installed fine but it gave a 'this application is not authorized for use on your android device' error. My name is enrique, sorry, hey man look i went to gsmarena but i don't know what to choose, please help me, i really want this game. @Enrique: Which Phone you have??? Omg thank you for replay lol, i have the HTC EVO 4G and yeah it's rooted. For HTC EVO 4G, Download SD Data of ADRENO. just tested on samsung galaxy i9000. working perfectly. thanks for upload. No Dear, file is not deleted. Below s the link. Could you please reupload the Adreno SD file it looks like they are removed. ALL LINKS ARE UPDATED....Adreno SD + Power VR SD + Tegra 2 SD. @Ash...download Power VR SD Data. . .
Power VR data not there. will it work on htc desire s? Hey I have a gs2 but the MALI sd data file is missing.can you please update it.thank you so much. @joshua.....MALI sd link is also given above and is working. Please check..
hey can i play dis game on my sony ericsson live wt19i without rooting it? adreno link not working again. says file not found. (2) Unzip directly on to the SD Card using system's 'untar'. For both the case, I have opened APK only after files moved to sdcard. So when I open the APK, it asks for WiFi, & after I enables the wifi, it says the game is not compatible with my device. 2. Wait for few seconds and then click on "SKIP AD"
Hi all, i have lg-connect phone model lg-ms840l android version 2.3.6. Would this.release of modern c 3 work with this device? Also i went to look for info about gpu and didn't find any answer. Anyone have un idea that could help? Thanks in advance guys! MALI sd file link is down? I can't download it. It says "file not found" after typing the code form picture. i have tried to download the ADRENO file like 4 times now and it keeps stopping, at random points...is there another way that i can download this file? oh kwl, but how do you use it? Which sd files would I download for the Amazon kindle fire? I have s Galaxy S3. I downloaded Mali SD Data and pasted in adnroid/data folder. When i start game, it Verifies Files and then asks me to redownload 750mb something file. What is going wrong? Hi, I have the sony ericsson xperia play r800x....which. SD Data do I download??? hey i have a samsung galaxy note.will it work perfectly?also is the language changed in the game? how to launch the game? when i unziped the file of mali the data was in many files and when i transferred it on the mobile and clicked on any of it it says "no application can open this" please help. @harshal.. what are you doing dear?? 1. Download and Install "Download Apk" Link given above. 2. Now, Download "MALI" link under "Download SD Data Files"
@adam....Please Please..Don't give wrong comments... All links are working including ADRENO link.. I was playing the game when i first bought it and it worked perfectly. Then all of a sudden when i try moving and aiming it just doesnt move anymore or i cant aim at all. The game is good but they need to fix that. I've had bad luck like 5 times. please tell me what to do for Galaxy Nexus. I just can't seem to find the right file, every time i download the whole game it starts with the G logo and then Message appears saying "Unfortunately, MC3 has stopped. @bob.... maximum games doesn't support local wifi when multiplayer selected..
Umm guys, is it working on S3? Just do one thing. Connect to wifi and remove your external sd card. 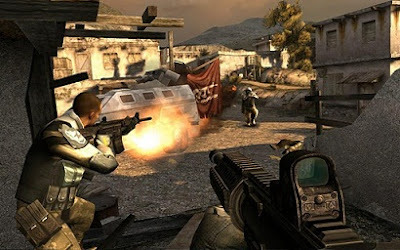 Now download apk file mordern combat 3 version 1.1.1. which is something 4.1 mb. Install and then start to download sd data which is 797 mb. But remember remove memory card before download. Friends I have succesfully downloaded this game after irritation of 2 days. @Prashant....micromax phones cannot play this game. the 1.37GB free memory mentioned there is pertaining to what? the external SD? or is it the internal SD? @sagittarian jimz.....i have a custom rom on micromax a68.....can you tell me how to play this game???? @prashant...No dear, You can't play this game because your phone doesn't have GPU. anyone knows what gpu on my g-tab p700 tablet? @Joy...What problem you are having with it? i open and it say "MC3 has stopped" my device xperia t2 ultra 4.4.3, how to fix it? ?